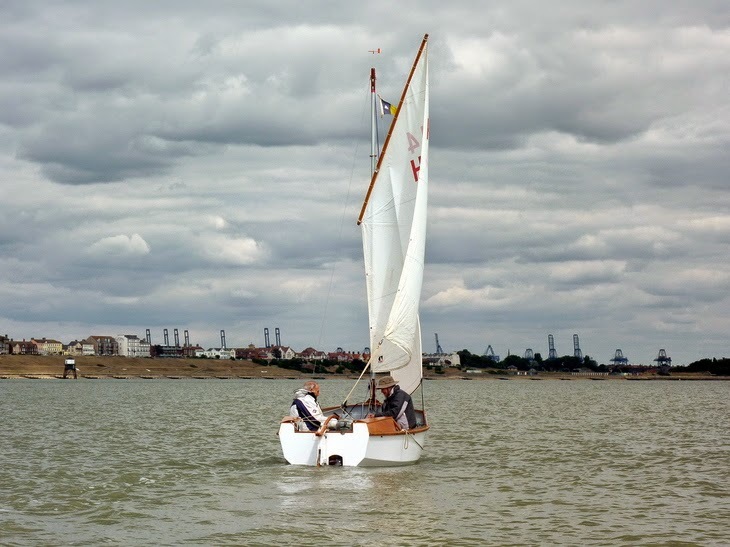 Here are three photos of a ‘stitch and tape’ Roamer dinghy being sailed by members of the Dinghy Cruising Association. She is a little unusual, because she is rigged with a high-peaked standing lugsail. The original Roamer was a Bermudan sloop. Plans for this version may be obtained from Paul Fisher*. However, you will also have to purchase the original plans from the Dinghy Cruising Association for certain details, and to pay royalty fees. 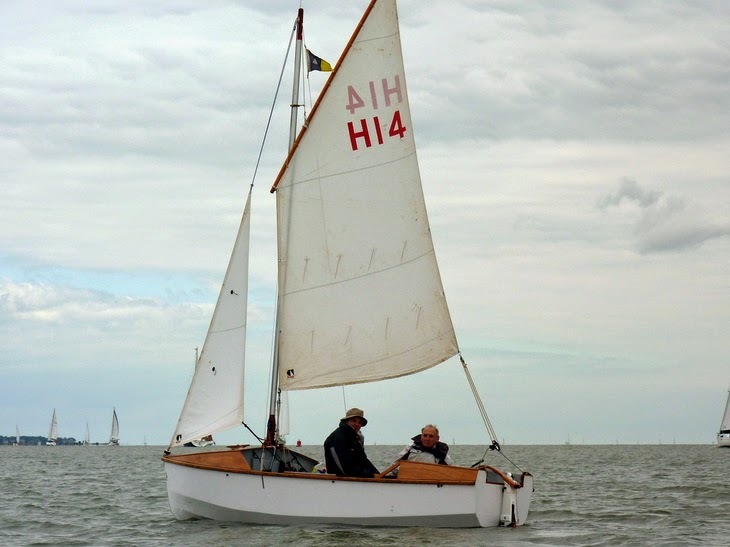 Getting them may not be easy, because their website does no mention Roamer, their most famous dinghy designed by Eric Coleman, the founder of the Association. I’m not sure if plans are still available. I was a member of the Association for about 13 years, but when I bought ‘Bumper’***, a Newbridge Virgo Voyager, I let my membership lapse. I know that was some ago when they were looking for a member to be responsible for the oversight of the Roamer plans, their publication, registration, and sales. Having owned a Roamer, I can highly recommend her for open boat cruising. The drawback for me was the necessity of setting up a boom tent at the end of the day and taking it down at outset of the next. 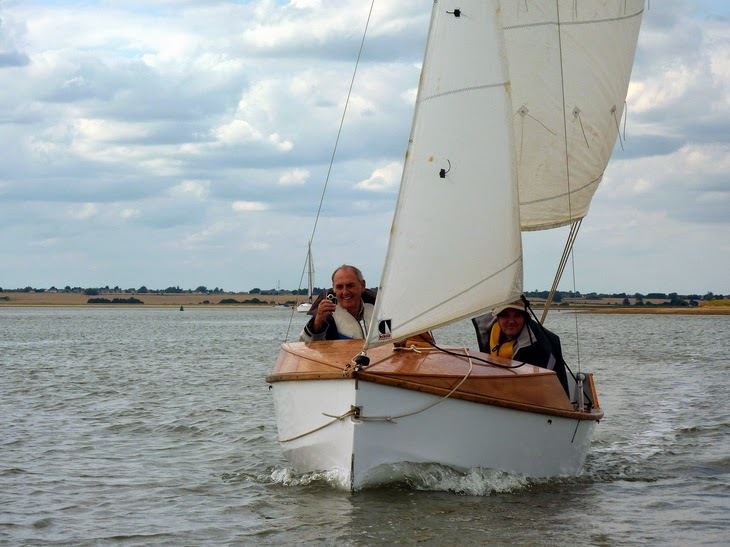 My Paradox ‘Minnow’ is a far better boat in this respect, and far better for single-handed cruising.